There is no shortage of portable projectors on the market, but most of them aren't very good. 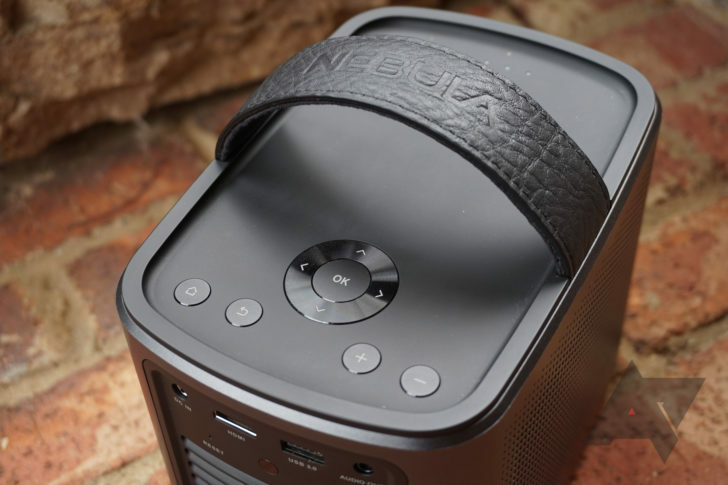 'Nebula' is a sub-brand from Anker, with just one product so far - the Nebula Mars. 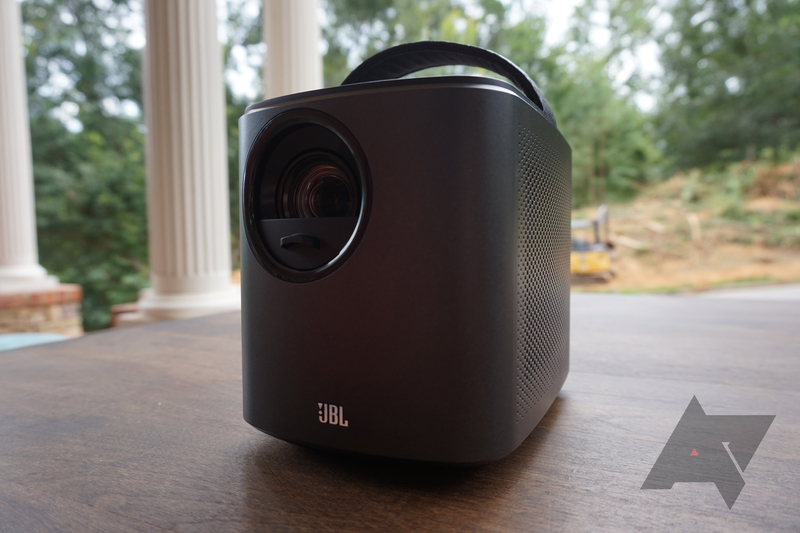 It's a smart portable projector that runs Android, with built-in JBL speakers and a battery big enough to watch a movie or two on a single charge. So how does Anker's first foray into projectors end up? The Nebula Mars is a pretty great product, but it's not without a few faults. Projection Media is bright and vivid on the Nebula Mars. Speakers The dual JBL speakers are fantastic. Design It looks sleek, and build quality is very good. Software It runs Android, so you can run plenty of Android apps (both from the app store or sideloaded). Battery I usually get around 2 hours and 30 minutes of use on a single charge, slightly lower than the rated battery life. Software (again) The outdated version of Android and the lack of a Play Store mean some apps are difficult (or impossible) to get working. 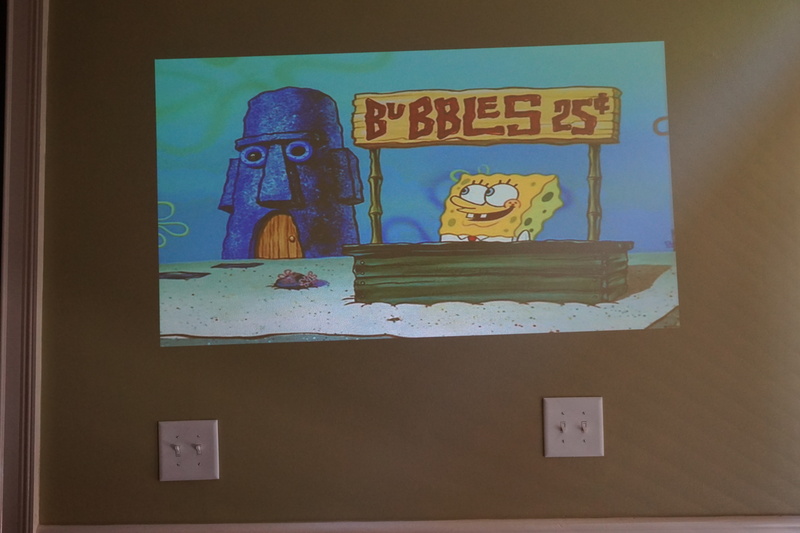 Expensive $600 is pricey for a portable projector. The Nebula Mars definitely has a striking appearance. It's a rounded black cube, with a leather-bound handle for easy portability. The top has battery indicator lights and series of controls in case you lose your remote. 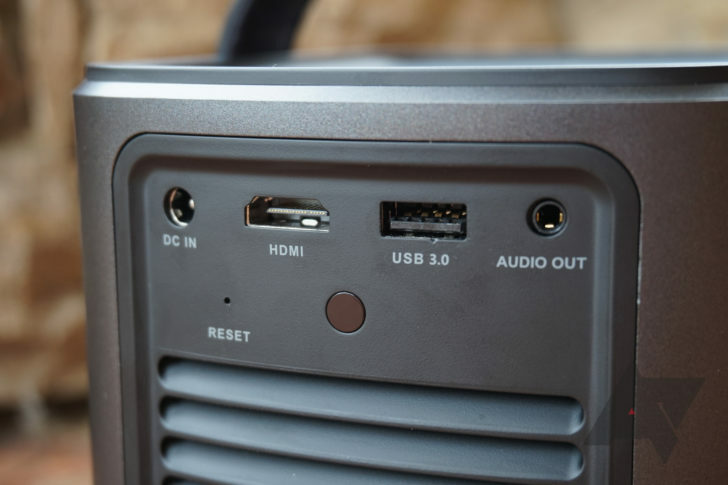 The back has an air outtake, a DC port for power, an HDMI port, a Type-A USB 3.0 port, an audio out jack, and a small reset button. The left and right sides are speaker grills, and the front has the projector lens and a JBL logo. Why is there a JBL logo, you ask? Because this has dual 10W JBL speakers. In my testing, audio on the Nebula Mars sounded great, and the speakers can get very loud while still maintaining decent quality. I have no complaints with the speakers. But if you would rather use a different pair of speakers (or headphones), you can always use the audio out jack. Bluetooth audio out is also supported, but you can't use the speakers to play audio from another device over Bluetooth. 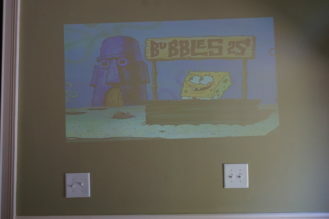 The projector also comes with a remote, powered by two CR2032 batteries. Because they're not a common battery type, like AA or AAA, replacing them might be slightly more of a pain. The remote has all the navigation and volume controls found on the projector itself, as well as a power switch and a button to adjust focus. 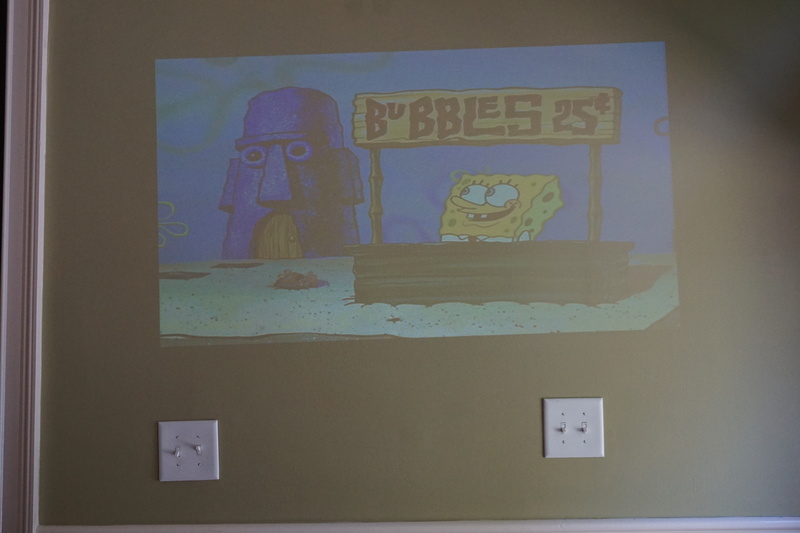 If you ever lose the remote (or it dies), you can adjust the focus by holding down the OK button on the projector. The Nebula Mars has a 3,000 Lumen lamp, which is brighter than most other portable/pico projectors. 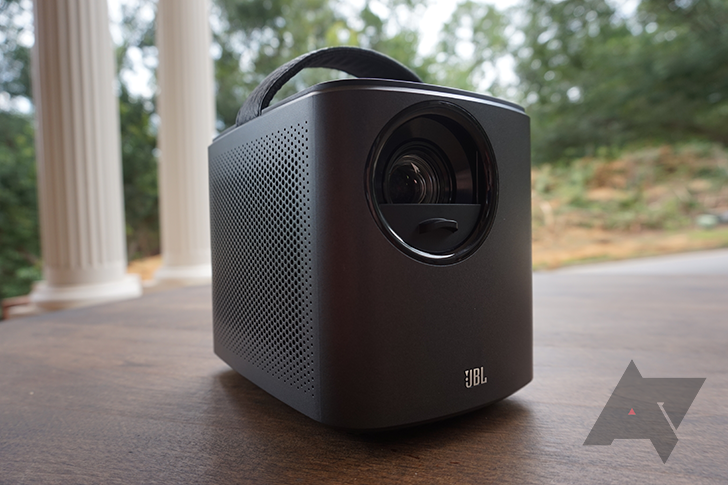 For example, the RIF6 CUBE projector maxes out at 50 Lumens, as does the Moto Z Insta Share Projector. If you're wondering how that translates into real-world usage, you should be able to see the projection indoors even if you have some lights on. As a test, I placed the projector in a room with multiple windows. The picture on the left has all the blinds open while it was sunny outside, and the picture on the right is with the blinds closed. 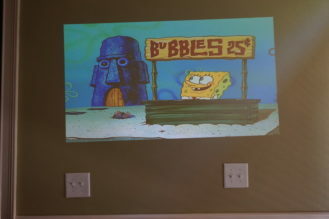 As with any projector, the darker you can make the room, the better. The Nebula Mars also apparently supports DLP 3D playback, but I don't have any 3D glasses or content to test this with. I really only have one complaint with the Nebula's hardware - there's no microUSB or Type-C port. I would love to transfer videos directly to the projector's 12GB of internal storage, but there's no easy way to do that. The Nebula Mars has a four-core ARM Cortex-A7 processor, clocked at 1.15GHz. The system menus and included apps all ran just fine with smooth animations, but some apps take a while to start up. Plex and Kodi both required about 10 seconds to open in my testing. But media playback was smooth with every app and service I tried. The projector has a 19,500mAh battery, but as you might expect, the lamp itself is quite power hungry. Anker says this should last about three hours, and in my testing, the projector falls slightly below that. It lasted for 2 hours and 30 minutes during non-stop Netflix streaming, and the same amount of time while watching a 1080p Blu-ray rip from a USB drive. The software on the Nebula Mars is a mixed bag. 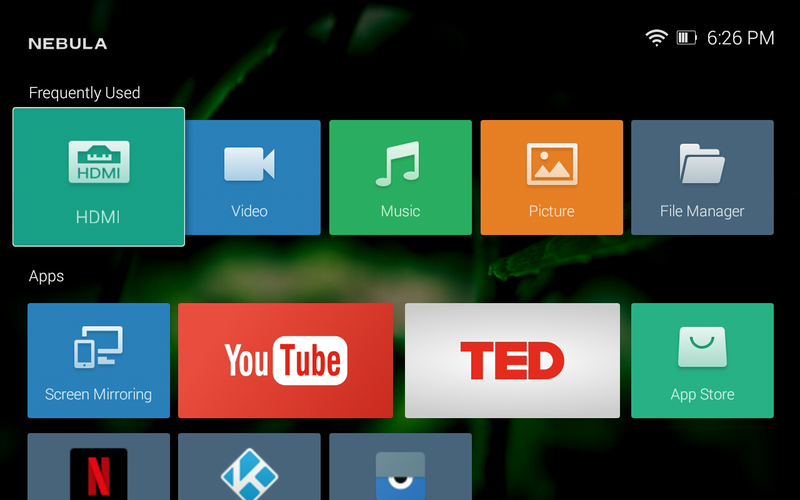 For starters, it's running a heavily-customized version of Android 4.4.4. I have no idea why Anker chose such an old version of Android - it's like buying a new PC with Windows Vista installed. 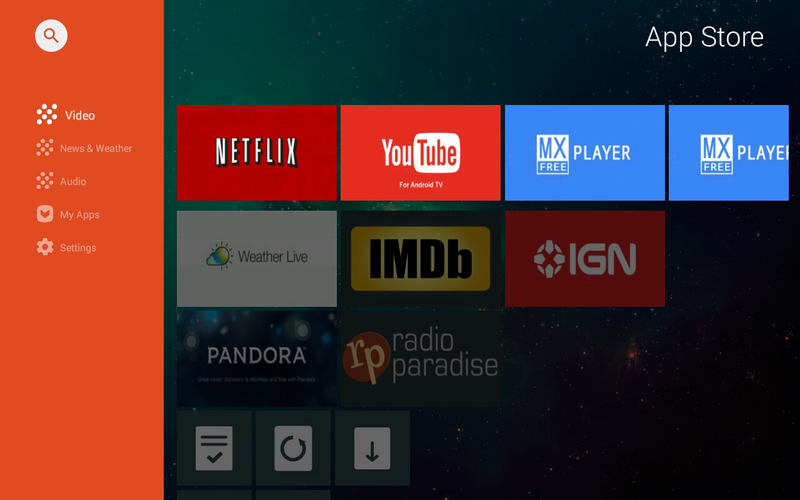 The standard Android TV Leanback launcher is gone, replaced with a custom version from Nebula. While I would have preferred Google's launcher, this one is just as fast and responsive. Nebula includes a few applications with this projector. The HDMI app displays whatever signal is coming through the HDMI port, which worked just fine in my testing. There's also a file manager with shortcuts for video, music, and photos. You can play media from a USB drive through the included file manager. 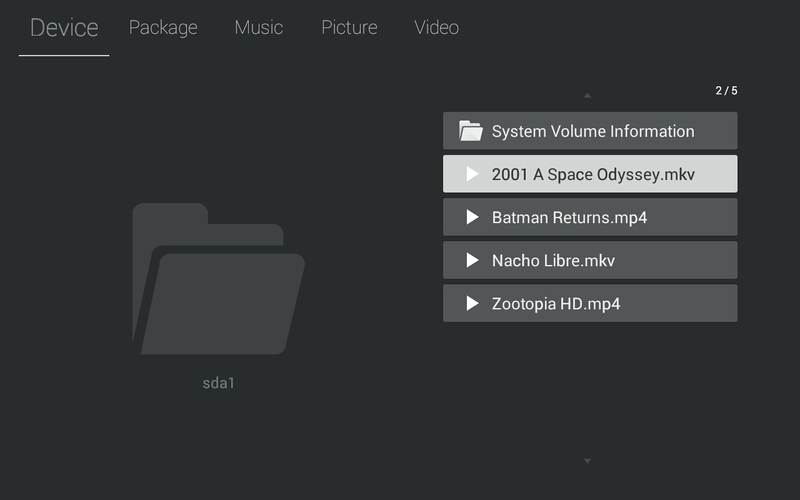 The file manager allows you to play video, music, and photos from a USB drive (there's a USB 3.0 port on the Mars). I tried a few different types of files, including my own .MKV Blu-ray rips and some .MP4 clips, and they played without problems. The included video player is a bit basic though (there's no skip chapter option, for example), but you can easily open files with another installed video player like Kodi or MX Player. Another pre-included app is 'Screen Mirroring,' which can display the screen of a connected Android/iOS device (or anything else that can use Miracast). Initially, this didn't work at all for me, but a factory reset fixed the problem. This uses the Aptoide TV App Store, not the Google Play Store. But it's not just the app selection that's bad, the apps themselves aren't great either. You can't sign in to the YouTube app, because there's no Google Play Services (I don't know why they didn't just make a wrapper for the YouTube TV web app). The Netflix app is the phone version, not the TV interface, so navigation is a bit difficult. At least you can sideload the apps you can't get from the App store. On the plus side, it's pretty easy to sideload applications to the Nebula Mars. 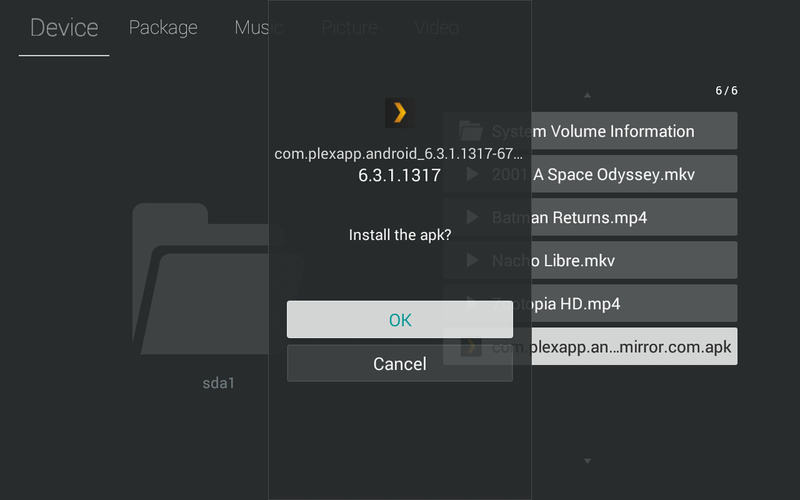 Just copy the desired APK to a flash drive, plug it into the projector, and open it from the file manager. Plex worked just fine after I downloaded it from APKMirror (and enabled the TV interface in the app settings). Unfortunately, sideloading apps is where KitKat's limitations become far more apparent. I tried to install the actual Netflix Android TV app, but it requires a newer version of Android. Same for the YouTube for Android TV app. Kodi now requires Android 5.0 or higher, so you're stuck with Kodi v16 (the previous major release). If you're underwhelmed by the software experience, you can always grab a Chromecast or Fire TV Stick and plug it into the projector's HDMI port. You can even power them through the unit's USB port. Overall, I enjoyed using the Nebula Mars. Yes, it has some issues - I would have really liked to have the full Google Play Store and a newer version of Android. But the build quality and speakers are great, and the projection is sharp. Plus, the HDMI input means that you can use any number of media centers/game consoles/TV boxes to fill in the software gaps. I don't think the $599 MSRP is a good value, but there doesn't appear to be any direct competitors to the Nebula Mars. 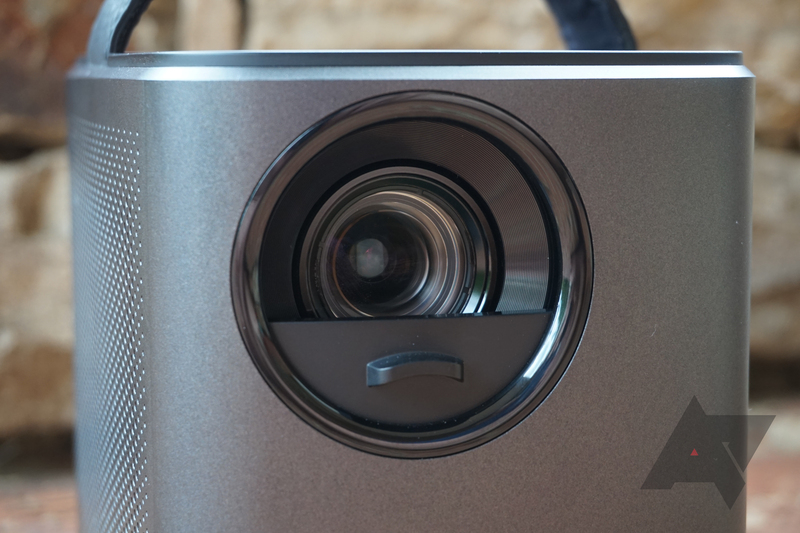 The closest product I can find is the ZTE Spro 2 projector, which is $399 on Amazon right now. 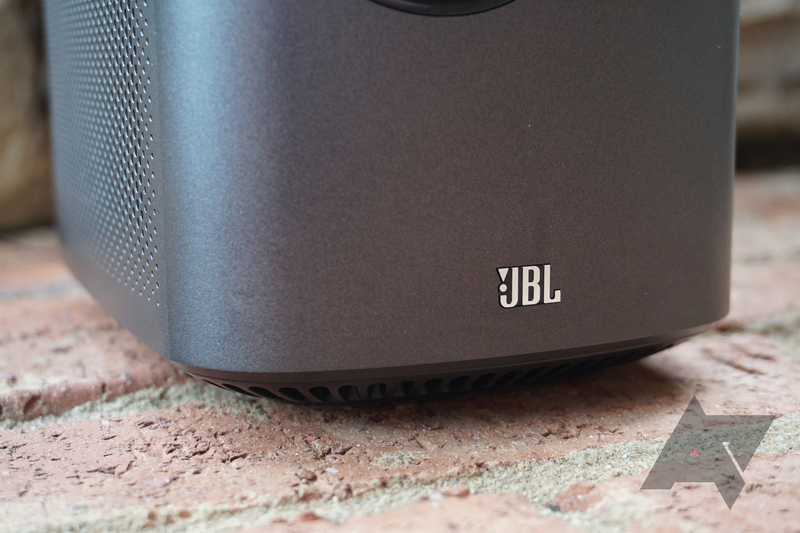 The Spro 2 also has an outdated version of Android and dual JBL speakers, but the output is only 100 Lumens on battery power (it increases to 200 when plugged in) and it uses a lower 720p resolution. If you end up buying a Nebula Mars, I think you'll enjoy using it. But maybe buy it on sale.